WHS – how long do business have to comply? Before you read how laws are made in Australia, have you read our previous article When will the new laws come into effect? You may find this article easier to follow if it is read in order. HOW LONG WILL BUSINESSES HAVE TO COMPLY WITH THE NEW WHS LAWS? To date the only concrete information we have received is ‘businesses will be given a reasonable length of time to comply’ sounds a little like that old question ‘how long is a piece of string?’ but common sense will dictate what a reasonable length of time is. For example if a business is required to undeRtake a safety service such as Electrical Tagging & Testing every 3 months and they have not undertaken that service in the past, it would not be reasonable for them to book their first service in May 2012. Sometime within the first 3 months of 2012 would be far more reasonable. A business which is already undertaking a service that will require increased frequency due to WHS will be given a little more leniency to adjust their service or training schedule to meet the new laws. It is widely expected that safety companies will be inundated with new requests over the normally quiet period of December and January from businesses seeking to be compliant with the new laws. Not everyone will be able to receive the training they require immediately. If you are able to prove you have booked in for required services or training and have been given the next available date you should be covered. At Australian Fire & First Aid we provide our clients with a booking confirmation letter which shows the date the enquiry for services was first made and the date of the course/service booking. If your staff require a particular type of training every 6 months it would not be reasonable to wait 5 months to make an enquiry and then produce a booking confirmation for 3 months later. Penalties will apply to businesses who do not comply with the WHS laws. 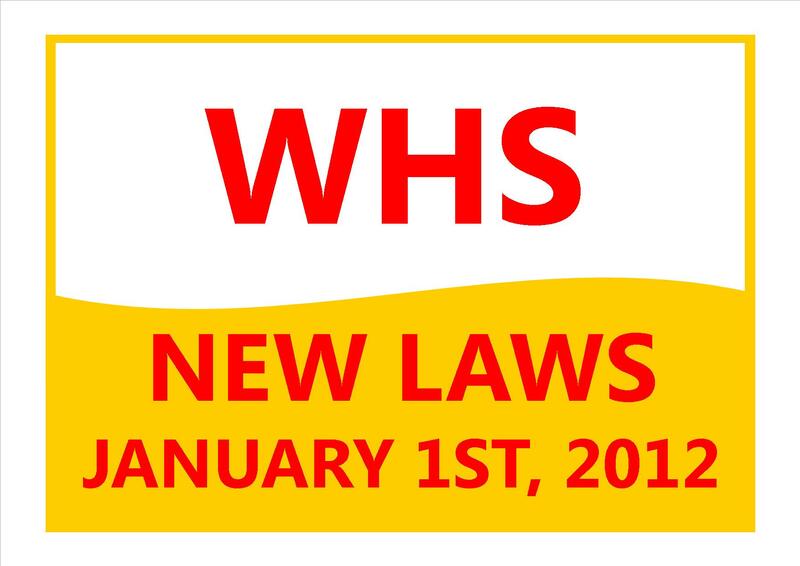 Our next article is entitled WHS – Who will enforce the new laws? ← WHS – when will the new laws come into effect?